Management position was vacated after Brad Gross’s resignation in May 2016. DANA POINT — Changes are afoot yet again at Dana Point Harbor, where a new manager could be installed within the first few weeks of 2017. OC Parks, the county department charged with overseeing operations at Dana Point Harbor, announced it is searching for a harbor manager. The job posting was found on Orange County’s human resources webpage. Applications are being accepted through Jan. 4, 2017. Dana Point Harbor has been without a dedicated harbor manager since the venue’s independent Harbor Department was collapsed into O.C. Parks in May. The management change coincided with the resignation of then-Harbor Director Brad Gross. 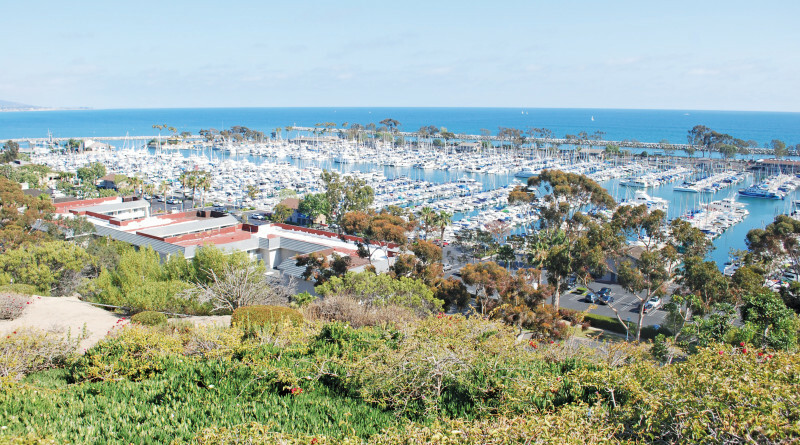 The new harbor manager position, however, would be a post dedicated exclusively to Dana Point Harbor operations – although it does not appear he or she would oversee a stand-alone department as Gross did for so many years. “The harbor manager is a senior level management position within the OC Parks South Coastal Operations Group. The harbor manager reports to a parks division manager, and works collaboratively with the coastal operations manager, park rangers and maintenance staff responsible for operation and maintenance of the county’s beaches and coastal facilities within the cities of Laguna Beach and Dana Point,” the official job post stated. “The harbor manager is primarily responsible for the successful administration of the multiple operating agreements, through which the commercial amenities (retail, hotel, and marina facilities) are managed and maintained on a day-to-day basis,” the job post continued. Other listed responsibilities included administration of the contract operators and primary contact for budget questions or tenant concerns. “The [new harbor manager] will also serve as the primary point of contact between operators/tenants/boaters and county agencies such as OC Parks (coastal operations and maintenance), CEO Real Estate (lease compliance and development), Public Works (facility rehabilitation and capital improvement), and OC Sheriff (harbor patrol),” the job post stated. “The harbor manager will be responsible for successful interface with other local government and regulatory agencies such as the city of Dana Point, California Department of Boating and Waterways, California Coastal Commission, Water Quality Board, etc., who have jurisdiction and/or influence over the operation of Dana Point Harbor,” OC Parks’ call for applications continued. Rodger Beard of Dana Point Boaters Association said local harbor users expected OC Parks to ultimately hire a dedicated professional to manage the city’s waterfront. The only question, Beard pointed out, was whether the new harbor manager, once hired, would operate Dana Point Harbor as a boating venue or shopping mall. “Having a dedicated, full time harbor manager is something we’ve expected and knew was coming for several months. OC Parks has been saying that they intended to do this all along. Creation of this position was a key assumption in their regaining responsibility for the harbor during reorganization last summer, coinciding with the resignation of Brad Gross,” Beard told The Log in an email. Beard said the new harbor manager should be more than a real estate professional or property manager; he or she must also have maritime experience. He added Dana Point Harbor’s boaters have become an afterthought in recent years, with the local commercial core taking priority over boating interests. Will boating interests have greater priority under the new harbor manager’s tenure? “Our fear here was that our harbor might again be managed as a shopping center and sales tax generator, rather than a safe harbor and place for boats that also is a park and has retail operations,” Beard said, adding responsibility of marina and waterside operations have been overlooked for decades. Blackwood would still be involved with Dana Point Harbor regardless of who is selected as the new harbor manager, according to an OC Parks spokesperson. “OC Parks Director Stacy Blackwood will still provide high-level oversight of harbor operations, just as she does for other OC Parks facilities. This position will report up through our Division Managers and Deputy Director to the Director,” the spokesperson states. The job announcement listed the annual salary range for Dana Point Harbor’s new manager as $76,960 to $136,760. Benefits include retirement through Orange County Employees’ Retirement System (OCERS), 12 paid holidays per year, vacation, sick leave, health and dependent care reimbursement accounts, dental, $100,000 life insurance policy and paid short- and long-term disability, among others. The position is expected to be filled within the next few months, according to OC Parks. Gross’s tenure as the harbor’s long-time director came to an end in May, when the county auditor’s office released a report detailing abuse of a hotel discount program at Dana Point Harbor Inn. Mark Denny, who then served as Orange County’s COO, was designated to oversee operations at Dana Point Harbor alongside his other management duties. Denny’s tenure as the go-to person for Dana Point Harbor operations ended in October, when the county executive accepted a job as Dana Point’s deputy city manager; OC Parks Director Stacy Blackwood succeeded him and is currently in charge of harbor operations.